IT'S another busy day of racing all across the UK and there are plenty of juicy handicaps to get our teeth into. I have ended up with 4 selections today all of which are double figure odds. My first selection is a massive price but worth a small each way punt. HAJJAM (2.45pm, Ascot) has been running fairly well all season since he won back in May. He has the benefit of a useful 5lb reduction in his weight with Connor McGovern’s claim so with question marks over quite a few of the market principles I’m surprised that there is plenty of 33-1 about this morning. The next selection is another one that I don’t think would have to improve much to be involved at the finish. MUDALLEL (3.15pm, Kempton) has won twice over course and distance , was second at Chelmsford last time and although he is taking a step up in class he is still on a competitive weight and should go much closer than the market suggests. The big race of the day is the Sprint Cup at Haydock which has another really classy field. Harry Angel is the best horse in the race by some distance on his day but he injured himself in the stalls last time and after a fairly lengthy break in flat racing terms it remains to be seen whether that incident has left an impact and whether it will cause any issues with his temperament. At really short prices I am looking for something to take him on with and I am happy to take a punt on TASLEET (4.15pm, Haydock) who gets his ideal soft ground, has Danny Tudhope in the plate and was second in the race last year. If Harry Angel isn’t at his best I can see him being the one to take advantage. Fourth and final selection of the day is another one at a double figure price that I think has been overlooked somewhat. 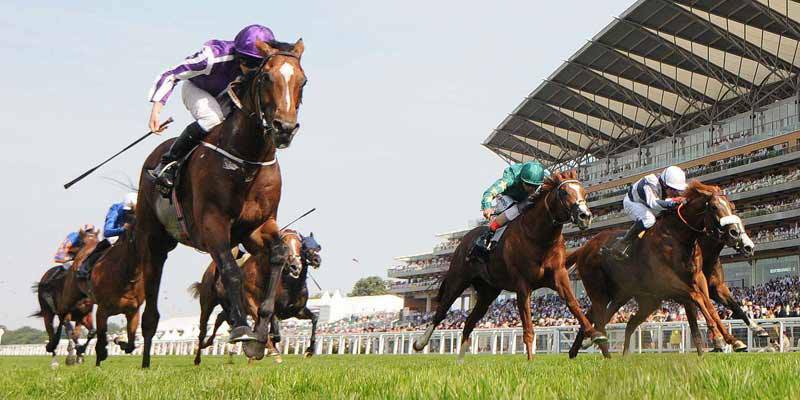 The John Gallagher-trained GREEN POWER 4.30pm, Ascot) has every chance in this competitive handicap having run a great race last time when winning over course and distance at the Shergar Cup. He hasn’t been hammered by the handicapper and with Finley Marsh taking a 5lb claim off his weight he gets to run here on a great mark and should go close again. They both posted last night Jim, on yesterday’s thread. Sound as big man,thanks for asking…hope your hsvinh s lovely mourning!? All the betteres after a lovely double up last night curtosey of AlanM and VV. @mr-fixit or admin could you do me a wee favour when you have the chance ? His comments are almost always removed. There would be fewer problems if you simply ignored him. He’s looking for a reaction. On AlanMs Quiet Endeavour to and that’s my bank for the day. Wish I had a Skybet account @double-carpet as I seen your shout yesterday for the 6/4 available. Just hope Harry Angel can oblige for my double but it won’t be easy. Having an Ew on Eqtidar in 4.15 too at 33/1…has win a group 1 class 1 but horrible lto,worth an Ew for me but. GL rest of the day gents! GUSTAV KLIMT 22/1 EW / 9/1 EW w/o fav. It’s fair to say he’s been disappointing this year but with rain forecast for most of the day the ground will be soft or heavy by the time the race is run and it could be a leveller and the drop back to 6f will also be what he needs. It’s also fair to say the AOB yard has been under a cloud but looks to be getting it’s act together having had 8 winners in Sept so hopefully GK can recoup some of his earlier promise. Thanks guys for all the mentions only one agenda beat the bookie. Well done all winners today. Think the bookies seen your nap, 5/4 now ? Irish trainer G Cromwell brings a raiding party to wolverhampton this evening . Very rare he goes home empty handed . Yeah I suppose,I’ll not bother if your going to remove his nosense. Cheers ? After a winning £400 single yesterday I withdrew £750 and left £750 on my account. Today wasnt great but I got to £1000 at one point. Alanm’s nap lost and before I knew it I was on tilt, betting crazy, jack mitchell and harry bentley then went on to kick me in the proverbials. I lost a big double, lorlina won and a colin keane 11/10 fave UNSEATED on the flat. Out of pure frustration and desperation, I stuck the last ot my 1k balance on a treble, a £20 bet. Ive just been woken up to find the first two have won, MONTAGALLY 5/2 and BE LIKE ME 11/2 and the cash out is £643, with a potential to win £2000!!!! And the horse I have to run?? The CROMWELL fav, taken at 7/4 he is now into 11/8 and as mentioned by someone else, he doesnt usually go home empty handed. What a sick decision, luckily I have occupy to run first, if it wins I will 100% noy cashout the other bet, if it loses i may tuck my tail between my legs and reclaim most of my losses… anyone gpt any advice on the SBRASSE race 815… it looks between top and bottom weight.. CRAZIEST sitation ive ever been in. Wow. Had a good position all the way gys amassivr gap up the rail and beaten by a 16/1 shot, wouldnt mind but it got smashed i to 2/1, awfuk feeeeling about sbrassse now. Well that was obvious. 11/8 fav 13/2 bar, 3 wins between the fields 60 races.. fav didnt a look in… disgusted i didnt cash out, u dont get 2 many good things… now restrainibg myself not to lose everything in the last 2 at wolves… my run is over ggs.